What Happened to the Integral Urban House? If you happen to find yourself in West Berkeley, California—a neighborhood in the iconic city that lies on the edge of the San Francisco Bay—you will likely be surrounded by an eclectic mix of renovated Victorian homes, newly developed retail shopping destinations, and manufacturing warehouses. 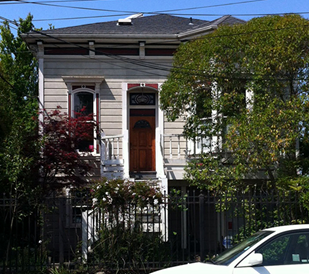 The present day incarnation of West Berkeley reveals little of its rich history as the location of the Integral Urban House Project, a pioneering architectural laboratory and demonstration house that existed in the late 1970s. Yet the building that once functioned as the Integral Urban House (IUH) still stands on its original site and retains much of its former appearance. While the normative aesthetics of the IUH seem to deny its legacy as a significant work of architecture, they actually reveal the profound departure in architectural thinking that guided the project. The IUH suggests that architectural innovation does not derive solely from formal explorations, but rather a complex integration of building systems with new forms of technology, an emergent understanding of ecology, and the desire to redefine the interaction between architecture, the environment, and the human body. It also represents some of the many contradictions of ecological design in the 1970s, helping us understand both their techno-utopian appeal and the social and political limitations of so many of these projects. 1972 was also the year that Sim Van der Ryn, along with a number of like-minded architects, engineers, and scientists from the San Francisco Bay area, formed the Farallones Institute, a non-profit research organization focused on autonomous, self-sustained living. Lead by biologists Bill and Helga Olkowski, the Institute decided to create a radical architectural project—an environmental demonstration home, in the city, that could illustrate their ideas for urban agriculture, domestic waste recycling, and solar energy collection. At a time when the majority of pioneering environmentalists were advocating abandoning the “toxic” city for rural homesteads, the Farallones Institute would attempt to reclaim the urban landscape. 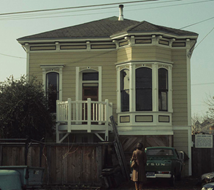 In October of 1974, the Institute acquired a rundown Victorian home on 5th Street in West Berkeley and proceeded to transforms its many architectural features using the logic of Whole Systems Design. Rather than privilege aesthetics or spatial design, the home’s architectural elements, and well as its occupants, were viewed exclusively as potential energy transformers in a closed ecological system. Instead of the front lawn serving as an ornamental green space, it was planted with high yield fruit trees and edible plants. These would not only feed the inhabitants and animals of the House, but conceptually feed nutrients from the environment into the “system.” South-facing walls and windows were adapted to passively absorb solar energy during the day and radiate heat into the House at night. The backyard of the House was planted with vegetation and populated with cages for rabbits and chickens, beehives, and a pond stocked with fish. Plumbing systems were redesigned to focus on autonomous energy circulation, for example a grey-water system and composting toilets were installed to perform human and animal waste recycling without the need of municipal water and sewage systems. The entire architecture of the home was re-conceived based on its ability to operate as an autonomous ecological system. And yet, perhaps the ultimate complexity of the project was the many functions the home attempted to fulfill during its ten years of operation. Finally, following the architectural legacy of the model home, the IUH functioned as a demonstration home. Throughout its existence the House welcomed a steady stream of visitors and gave numerous educational tours. Integrated into the programmatic design of the IUH were didactic exhibition displays and demonstration spaces intended to offer public classes on topics such as solar energy systems, urban food stock raising, aquaculture, and apiculture. Therefore, the IUH was also intended to function as a powerful pedagogical tool that could reach far beyond the physical site of the home. By presenting the IUH to the public, the ultimate goal of the project was to convince a sympathetic public to reevaluate the ability of architecture to contribute to a new urban ecology movement. The Integral Urban House Project existed between 1974 and 1984. While it was to intended to expand and eventually create the Integral Urban Neighborhood, the notion of Whole System Design was never widely adopted and it remained a unique architectural experiment. After ten years, the Institute acknowledged it had failed to attract widespread public support and ended the project. One reason for the demise of the project may have been an inherent fallacy in the notion of a closed ecological system upon which it was based. Whole Systems Design was predicated on the exclusion of both social relations and the political economy of the environment, and as such was unable to respond to many dynamic, external conditions. First, in the early 1980s, West Berkeley experienced a dramatic redevelopment as a result of the introduction of a large commercial retail zone. In particular, a portion of 4th Street was transformed into a luxury-shopping destination and the surrounding residential area saw a dramatic increase in land values and a subsequent influx of new homeowners. The smell from composting, the numerous animals housed on the site, and the resulting flies the system attracted, caused many problems with the new, increasingly gentrified neighborhood. In addition, despite attempting to quantify every aspect of the “system,” the project failed to account for the many hours of human labor required to construct and run it, largely supplied by unpaid Berkeley architecture students. After Sim Van Der Ryn left UC Berkeley for other endeavors, he was no longer able to attract students willing to volunteer at the House and maintain its “self-regulating” system. These and other dynamic contingencies, unaccounted for in the model of the closed-loop system, destabilized and ultimately disrupted the illusion of IUH as a steady-state architectural machine. Despite these failings however, the Integral Urban House Project remains a unique, earnest, and important moment in the evolution of architectural thinking, and ecological urbanism, in the previous century. 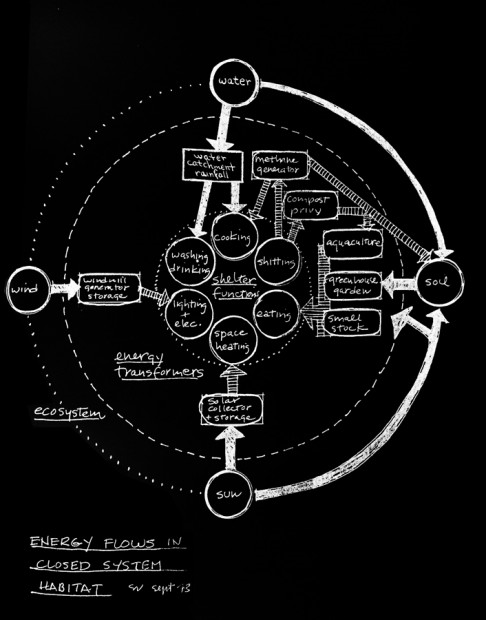 Carl Anthony, Jim Campe and Sim van der Ryn.The Natural Energy Design Handbook. Berkeley, CA: College of Environmental Design Imprint, 1973. 3. Helga Olkowski, William Olkowski, and Tom Javits. 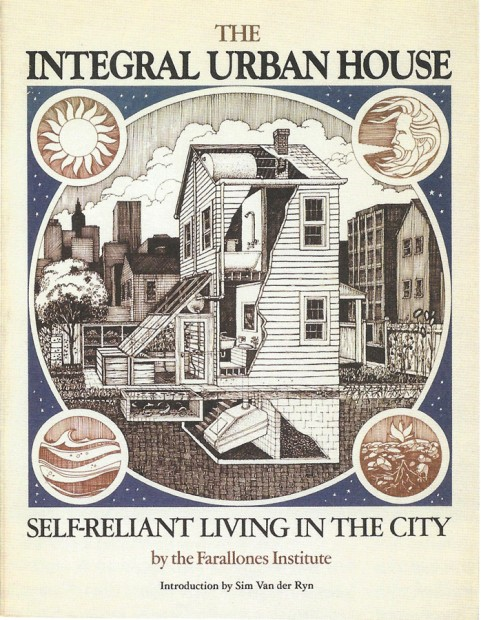 The Integral Urban House: Self-Reliant Living in the City.San Francisco: Sierra Club Books, 1979.